It is well-known that many people suffer from mood changes in the depths of winter. Shorter daylight hours, post-holiday doldrums, and bad weather prevent us from getting outside or socializing with others. Some people are hit harder than others, suffering from a condition called Seasonal Affective Disorder. Markers of SAD will show up year after year: low mood lasting longer than a couple of weeks, feeling hopeless, worthless, and irritable, and losing interest in activities a person normally enjoys. Here are a few products we LOVE and activities you can try to get out of your winter funk! The shorter hours of daylight in the winter can influence the body’s circadian clock, which regulates sleep, moods and behavior, hormones, and more. Turn on all the lamps around your house for a warm and cozy feeling or put your holiday lights back up inside the house and keep them up until Spring! If you struggle to wake up in the morning when the sunrise is so late in the morning, you can get a sunrise alarm clock which gradually lights up your room to help wake you up in the morning. For true Seasonal Affective Disorder sufferers, a light therapy box can help artificially supplement natural daylight. According to this article from the National Institutes of Health, after sitting facing a light box for 30 minutes each morning, about 70% of SAD patients found relief after just a few weeks! Cooking can be a great creative outlet and what we eat has a huge effect on how we feel. According to this blog from Harvard Health Publishing, there have been a number of studies recently concluding that there is a link between what a person eats and their risk for depression. Winter is a great time to slow down and savor the experience of cooking and eating a healthy meal with lots of vegetables, whole grains, lean protein, seeds, and nuts. Experiment with using different combinations of herbs, spices, and citrus. A squeeze of lemon will brighten up many dishes! You don’t have to toil away on the treadmill for an hour to get the mood-boosting benefits of exercise! Play in the snow, go for a short walk around the block, or dance around in your living room. You might have to force yourself at first, but even five minutes of getting your blood pumping is sure to make you feel a little better. This post from Everyday Health suggests behaving like you’re from Minnesota. The people there embrace winter, participating in winter sports like ice-fishing, ice skating, and cross-country skiing. They don’t shy away from the cold temperatures – they get out there and enjoy it! Volunteering for a worthy cause is a great way to pull yourself out a rough patch. Working with those less fortunate can help you realize that you have so many blessings in your life, and many volunteer opportunities have a social or a physical aspect, so you can get those benefits too! If you need to ease into it, you can try volunteering at an animal shelter by walking the dogs or socializing the cats. This article from the American Psychological Association has some more great ideas for staying active in winter. CBT (Cognitive Behavioral Therapy) can help you identify your current patterns which are affecting your mood, and work to replace them with new patterns of thinking and acting during winter. CBT is very practical and it doesn’t require a deep dive into your history, so it’s a lot less intimidating than other forms of therapy! 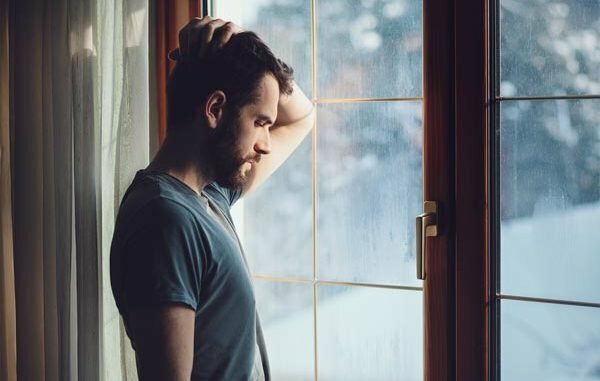 According to this article from Psychology Today, CBT is even more effective than light therapy for long term treatment of Seasonal Affective Disorder. In a study where half of the participants were given a light box for six weeks, and the other half received six weeks of CBT, only 50% as many people in the CBT group had another bout of SAD two years later compared to the light box group. Remember to be patient with yourself as you experiment with different strategies. It may take some time to see marked improvements. As with any time you think you might be suffering from a medical condition, be sure to seek the advice of your doctor. If you ever find yourself in a crisis and need immediate help, you can text 741741, or call 1-800-273-8255.